I checked photographs of the drawing displayed at Museum Mikasa again. Fune no kagaku kan (Museum of Maritime Science) and MES Tokki Co., Ltd. have furnished the drawing. MES Tokki is a subsidiary company of MES(Mitsui Engineering and Shipbuilding Co., Ltd.). As you know, JACAR has put several other drawings of Mikasa on view via web. 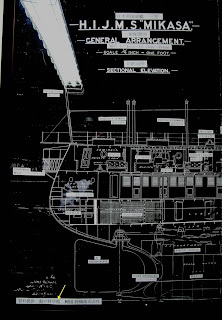 Ref# C04015499100 contains plan of middle deck of Mikasa. This drawing was made about 1926 for preservation of Mikasa, but perhaps it was copied from drawing at completion of Mikasa. 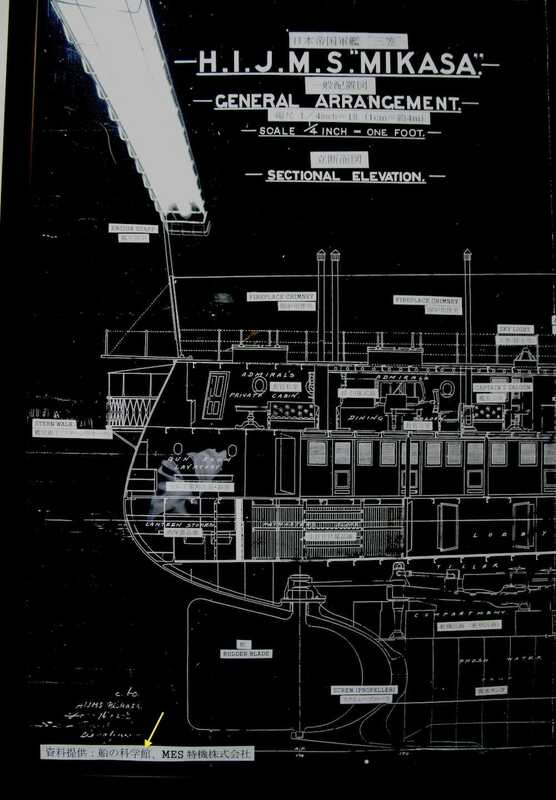 Original drawings (main deck & middle deck) can be viewed at NIDS "The National Institute for Defense Studies".